Your gift helps send TWICE as many CarePacks thanks to a $10,000 Challenge Grant! Today, you have the chance to change the lives of refugees in desperate need of hope. How? By sending them a CarePack! Each CarePack contains lifesaving food, supplies, a Jesus Film DVD, and a Bible – things vital for refugee families who are starting to rebuild their lives. And thanks to a $10,000 Challenge Grant, your gift below will now help send TWICE as many CarePacks to these desperate families! Imagine how encouraged refugee families like Akram's will be to receive this tangible expression of God’s love from you. So thank you for your showing refugee families how much God loves them with your gift of a CarePack today. We’re grateful for you! Send even more CarePacks by making this a monthly donation! This month's donation will be processed today. The same amount will process every following month on the day selected. Donor does not have email address. Please complete the captcha before submitting. Powered by RaiseDonors. ©2019 RaiseDonors. All Rights Reserved. The security and confidentiality of your information is our highest priority. 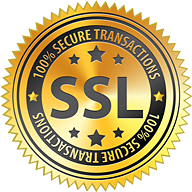 We use industry-standard SSL (secure socket layer) technology to protect your information and provide a safe and secure environment for online donations. We will not sell, trade or share your personal information with anyone else, nor send donor mailings on behalf of other organizations. Do I get a receipt? A donation receipt will be sent to you at the email address you provide on this form. Please be sure to keep a copy of your receipt for tax purposes. If you select a recurring donation, you will be sent an individual receipt each month when your donation is processed.